We’re a full-service screen printing studio located in Greenpoint, Brooklyn. 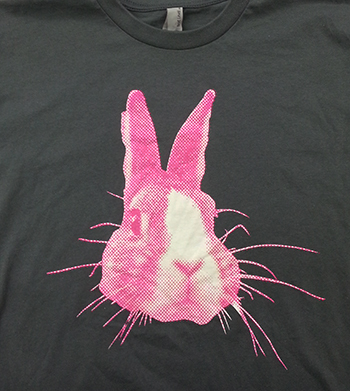 We print everything from t-shirts and tote bags to blue-chip fine art. We like to work directly with clients from the genesis of a design through its final production, with a creative approach and obsessive attention to detail that has earned us the loyalty of top apparel companies, fancy Manhattan restaurants, high-end galleries and the pizza place down the street. Click on the picture below to see some of our recent work!